To those just starting out, “Easy Backpacking Meals” might sound like an oxymoron. When I was planning my first backpacking trip, the task of meal prep seemed particularly daunting. Nothing about finding good tasting, non-perishable foods, and then cooking them in the middle of nowhere with limited dishes and a tiny portable stove seemed easy. That’s not even to mention portioning and packing. Fortunately, planning, packing, and cooking your meals doesn’t have to be difficult. It can even be the best part of your adventure. 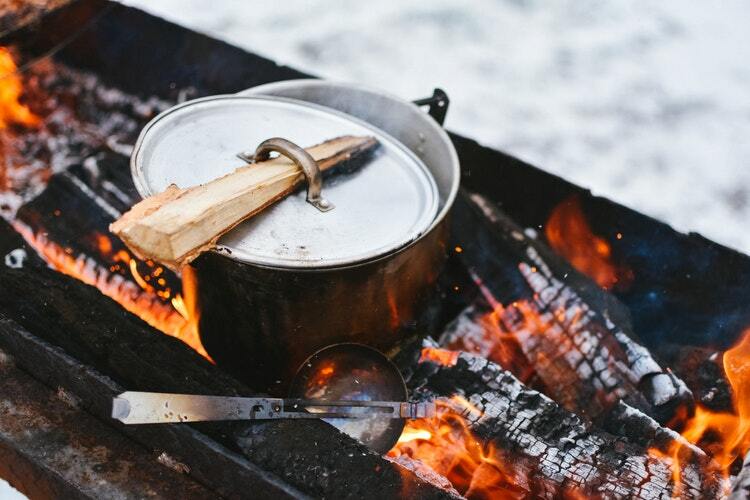 I’m going to share with you some backcountry meal basics and sample recipes that will put you on the right path from the start. In this article, I’ll break down the basic principles that will help you make the overall meal plan for your trip as well as give you some sample ideas to get you started. Meals are the foundation of a successful backpacking trip. Just like a car is your vehicle for a road trip, your body is your vehicle for your backpacking trip. 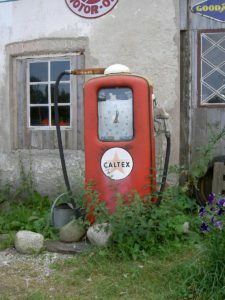 And just like a car, you need fuel. It’s important to understand that the amount of calories you consume as you’re backpacking needs to be greater than your standard caloric intake. Even as a beginning backpacker you’ll probably be traveling at least 5 or 6 miles a day. I’d be willing to bet that’s more than your everyday mileage. You need to proportionally scale up your eating. So how many calories do you really need? This is a difficult question to answer because it depends on several variables, including your weight, backpack weight, hiking speed, the difficulty of terrain etc. But a good average to shoot for is about 2500 to 4500 calories per day. Whatever you aim for, make sure it’s at least 1,000 calories more than you normally consume. You can use this nifty calorie calculator to get a more specific estimate for yourself. The food pyramid is also a little different. When you’re backpacking your calories should come from carbs (60%), fats (up to 25%), and proteins (up to 20%). Consuming enough, and the right kind of, calories is important not only for your happiness (and to keep from getting hangry) but for your safety as well. Those who don’t consume enough calories may find themselves feeling weak and unable to think clearly. The more remote the country, the higher the stakes and eating enough food could even be the difference between life and death in extreme cases. Weight is an important consideration within all aspects of backpacking. The same is true for food. In keeping with our average calorie estimate, that translates to about 1.5-2.5 pounds of food per day. 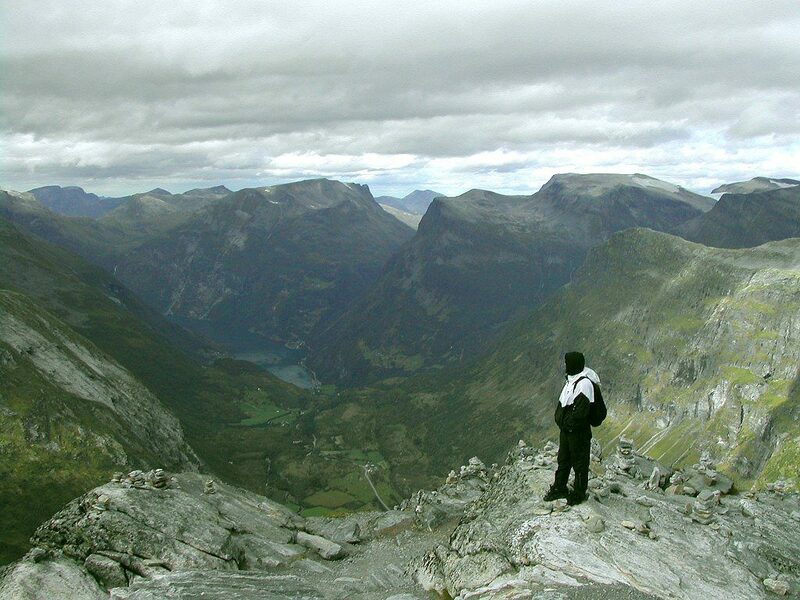 I once went on a weekend backpacking trip as part of a beginner course in college. Our meal groups were made up of about 3 students each. The final hike out was touted as a difficult trek uphill through deep sand. On our last night there I remember one of the groups frantically trying to give away all their extra food. Unfortunately, most of us had already eaten a little more than we wanted in order to slim down our weight for the grueling hike ahead. That group was stuck carrying an extra pound or two. That may seem negligible until you’re on your 3rd or 4th uphill mile with a few more still to go. Carrying a few extra pounds is not necessarily going to kill your backpacking experience, and it may be something that you will have to experiment with in order to hit that sweet spot of just the right amount. But there are a few tricks that will help you keep the weight down and still consume an adequate amount of calories. Remove any unnecessary packaging. Not only does this cut down on weight but it helps you avoid accidentally littering on the trail. Ziploc bags are your friend. Thicker, bulkier containers like Tupperware are heavier and harder to pack. Double bag it if you’re concerned about leakage. Lose the water weight. Dry food such as pasta and oatmeal don’t weigh much, but still provide a hearty meal when you add water. In time, you’ll be able to add your own tips to this list and start portioning like a pro. I have found that backpacking provides a great setting for food experimentation. Even the most bizarre combinations can taste delicious when you’ve been hiking all day. That being said, it’s important not to get too caught up in counting calories and weighing your noodles that you forget to bring food that you like. Nothing kills a campfire conversation than trying to force down some tasteless mush. So make sure you like what you bring. It can also be helpful to have an arsenal of spices on hand to rescue that meal your buddy burned when it was his turn to cook. Again there’s no need for fancy little shakers, you can keep your spices in Ziploc snack bags. In addition to salt and pepper, I like to take garlic salt, Italian seasoning, and maybe a dash of chili powder to name a few. The wonderful thing about spices is they’re very light, and you usually don’t need much to spruce up the flavor of your meals. Pack some of your favorites and get your food scientist on. I recommend selecting breakfasts and dinners that you cook on your stove, and cold lunches so you don’t have to break out the cooking equipment in the middle of your day. You should also bring snacks. Lots of snacks. Trust me, you’ll be hungry and want something that you can eat on the go. As you plan the meals for your entire trip, you might find that you need the same ingredient for more than one meal. This can help simplify your process. For example, you may bring a block of cheddar cheese that you can use in your extra-cheesy mac n’ cheese as well as your burrito, and even slice off chunks for a lunchtime cheese-stick. Keep in mind how long the food you bring will keep. You can bring more perishable foods as long as you eat them earlier in the trip rather than later. You probably won’t want to eat the ground-beef you brought for your mini tacos if you save it till the last night of your trip. It may be helpful to create a specific menu for what you will eat and the specific day you will eat it. Precooking things (like the aforementioned ground beef) can save you time and energy while you’re in the backcountry, as well as make the food last longer. I wouldn’t bring any raw meat but I’d be OK with some precooked meat on the first night. Don’t be afraid to bring certain foods that you normally refrigerate. Cheese can last a surprisingly long time unrefrigerated, as can butter, hard meats, syrup etc. When in doubt about a specific food, some quick internet research can give you a better idea of how long it will last. My personal favorite outdoor meal! Put everything into your Ziploc bag, squish it all together, and seal it. Boil it in water until it looks like an omelet! You can’t go wrong with instant oatmeal packets. Bring a few different flavors and plan on eating at least two for one day’s breakfast. You can mix in nuts, dried fruit, and even chocolate chips to spice up the flavor and add a few more calories. Fresh fruit can also be good but may take a beating in your pack if you don’t eat it quick. I prefer to eat things that don’t require any cooking for lunch. For the first day’s lunch make yourself a gourmet sandwich with lettuce, tomatoes, avocado, and the whole shebang. Just make sure to eat it before it gets soggy. Mini bagel pizzas are also a personal favorite. Bring plain or onion bagels, pepperonis, tomato sauce, and some cheese. You can also switch it up by bringing cream cheese, and summer sausage to make a bagel sandwich. rice. Cover and simmer until water is absorbed and rice is soft (about 20 minutes). 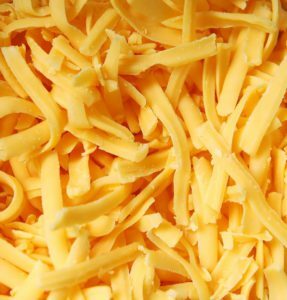 Stir in nuts and cheese. Serve when the cheese is melted. Kraft Mac n’ Cheese with chunks of summer sausage and extra cheese is a delicious, easy dinner. Make sure you take the noodles out of the box. Backcountry Shepard’s pie is an easy, nutritious meal. Simply bring some instant potatoes, cheese, bacon bits, some canned corn (taken out of the can of course) garlic powder and butter. Exact ingredient amounts don’t matter much. Mix it all together and enjoy. Ramen noodles can be a good option but they don’t provide enough calories on their own. Make sure to add some mixed veggies and meat. You can bring fresh veggies if you’re planning to eat them on your first couple of nights. There are also many dehydrated options. Hopefully, you now have a better understanding of how to plan out your backcountry meals, and the task no longer seems like a mountain in and of itself. If you get enough to eat, pack right, and love the taste you’ll be a backpacking meal champion. Of course, there are endless options of pre-portioned, pre-packaged, freeze-dried meals you can buy. Many of them are easy to prepare, easy to pack and delicious. You can always go that route if you choose. But with the skills you just learned the world of easy backpacking meals is endless and goes as far as your own imagination. Of course, the only way to really learn is to do. So get out there and get cooking. Glad you liked it! I hope you continue to have many wonderful adventures with your children. Outdoor activities with my family were my favorite as a kid. Wow thats cool, I hadn’t considered many of those things. That’s good to know. Wow, I’ve never been backpacking before, but, I’ve heard a few friends tell me about it. I’ve been mildly interested in trying it out so I’m really glad I checked out your article. By the way, I found your writing to flow easily and illicit imagery in my mind as I read it. Thank you for being conversational. The point you made about consuming more than you normally do is something I would of never thought of but it makes total sense if you’re trekking 5-6 miles a day. That’s quite a workout….even on my usual gym workout days I’m consuming just short of 3,000 calories so I’d probably need 4,000 alone. Because of the high calorie intake, it presents a unique challenge to keeping weight down for lighter traveling. I absolutely loathe carrying around heavy loads in general…literally and figuratively…so maximizing my efforts is important for me as it is to you and others. I think I personally would go with omelets in the morning, sandwich during the day, and some kind of precooked meat at night. I also like beef jerky, dates, and raisins for snacks which could easily go in a nifty zip loc bag. Whats the longest back packing trip you’ve ever taken? I personally enjoy 3-day backpacking trips the most. Those are my sweet-spot because it’s time enough to go out into nature and get to some stunning places, but you don’t have to carry so much with you. I also do not like figurative or literal heavy loads! But I have been on some longer trips around a week or so, as well. The omelet in a bag is absolutely delicious! I like it even better than traditional omelets, and I even make it at home sometimes. Wow, thanks for sharing these great ideas and insights.Omelet in a bag is so creative, but is it really safe to boil in the plastic ziplock bag? Are there any chemicals that are released from the plastic bags when boiled? (or is there a BPA free and safe plastic ziplock bag you recommend? )I love the sample snacks, so many to choose from and healthy too!Thanks for sharing your experience. Interesting read about backpacking I was a little surprise with your advice regarding eating more Carbs. As protein takes the body longer to digest so it will give more longer fuel. Good breakfast tip putting egg in a ziploc bag. I like the safety and survival tips and the how to do tips. Great info for some people that wanna get out there in the wilderness. What a fun and informative read! It sounds like you have quite a bit of experience hiking and packing backpack meals. When I think of packing food for a hike I immediately think of trail mix, protein bars and cheese sticks. As I read through your list of packable ingredients and meal ideas it becomes clear that being out in the wild doesn’t mean you can’t have some variety. By the way, the omelet in a bag is genius! Have you thought about writing a backpack recipe book ? I have not thought about that Susan, but it makes me so happy that you think my recipes are good enough for a book 🙂 I will have to think about it more! I can personally guarantee that eating ramen noodles for three weeks straight when you are out bush quickly ruins your trip. My cousin and I did it many moons ago when we were teenagers and thought we were invincible enough to save some money by skimping on food. Don’t try it, I will spare you the minute details. What i did want to share is the time that I bumped into some friendly people in RVs who stocked me up on food beause I was low. They had one of those vacuum sealer machines and had made a heap of their own ready made meals. It was a brilliant idea. Also, light and durable in my pack. I use a food dehydrater to make my own snacks before I go hiking. Works well. Those are some great tips, Remy! I personally have enjoyed ramen for 1, maybe 2 dinners in a row but always with some added veggies mixed in! Hi Mariah, you have offered several suggestions for getting ready for the backcountry. Over the years I have hiked quite a bit, but just day trips. My husband and I planned to do longer backpacking trips but unfortunately my knees gave out and I am in the process of replacements. But I found the post very interesting, my physiotherapist said that when I am completely healed, I could hike again, which is exciting news. I am going to start planning different ways to eat in the backcountry in hopes this will be in my future. You mentioned carrying eggs in tupperware, have you tried cracking them at home and keeping them in the ziplock that you plan to boil the omlet in. If double bagged, should the eggs not be safe? Just thinking this would eliminate some of the weight. I like the way you plan your foods by spoilage time, maybe eat the heavier first if that works out ect. As well you spoke about prepackaged foods designed for backpacking where you just add water. Would you carry extra of this type of food just to ensure you have enough to eat? Also when backpacking in pares or more, do you trade off who carries what? For example you would only need one set of pots, one stove ect. Or does each hiker take care of themselves? 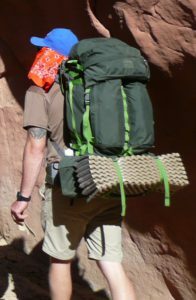 My son worked in a high end expedition store (actually called Expedition), he raved by the science of the backpack and how it is built to carry weight comfortably. Do you find that the weight of your backpack is comfortable? Thanks for writing this article, it gives you food for thought (no pun intended), makes you think of things that you would not normally consider. I will start following your website, sounds like it is full of valuable information. I sure hope you are able to get back out there hiking very soon and wish you a speedy recovery. Yes, carrying the eggs in the zip-locs is an excellent idea. I wouldn’t recommend carrying extra food simply because it adds to the weight. As long as you’ve planned your meals out you should be ok. In fact, beginners often tend to take too much food. You can definitely take pre-packaged food AS one or more meals though. I would 100% recommend divvying out shared items when backpacking with a group. But it’s ultimately up to your group to decide amongst yourselves. Backpack comfortability definitely varies. But if you pack well, and distribute the weight in the correct way you can carry a lot of weight very comfortably! Great tips on meals. And I never thought of putting all if it within the same ziplock bag, adding some water and boiling. Great idea, I can add some seasoning and make quite a nice meal with dry ingredients that last the duration of the trip. I’ve tried in the past to separate out items, then do the mixing in bowls, but the extra weight is silly. Keep up the great tips. Very timely article. I am planning for a trip into the woods over the weekend and was just searching for some meal ideas when I read about your tips. Believe it or not, I’ve not heard about powdered eggs and I wondered how it taste like. Never really a big fan of oatmeal, but I like the idea of adding chocolate chips into it so that may work. Perfect! You’ve just helped me speed up my planning process here. I’m not a huge fan of oatmeal either, but it’s the best breakfast on the trail in my book! Warms you up after a cold night, easy to eat, easy to cook, and fills you up good. Adding your favorite mix-ins is the icing on the cake.